Arlo is the product of NETGEAR. 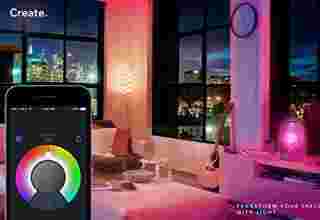 It is a worldwide leader when it comes to smart home security products and home networking. Their home security products are most advanced, versatile and packed with features. 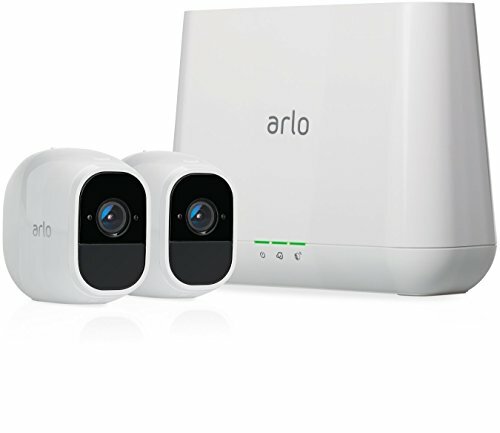 In this article, we provide you with a detailed description and features that come with Arlo Pro vs Arlo Pro 2, along with a complete guide and comparison to guide you in making the right choice of Smart Home Security camera for your home. Arlo smart home security cameras ensure you of peace of mind, at all times and at all places. You get to watch over what and who you love from all angles, even though you are far away from home. With Arlo smart home security cameras, you get to capture even the slightest details of both indoors and outdoors as well as during the day and night. 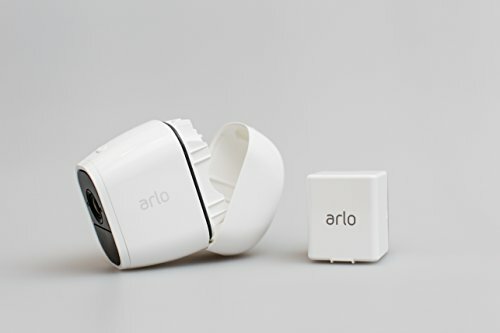 Arlo Pro is the world’s first and only smart security camera along with audio which is 100% Wireless, high definition, rechargeable, weatherproof, and also offers a wide viewing angle. The special Arlo Pro smart security cameras are proofs of this well-known entrusted brand. These cameras come with high-definition technology and are widely made use of in the protection of homes, families, business and enterprise establishments and valuables. It is a great security system for the modern generation. With Arlo Pro smart security cameras, you can watch live recordings of one’s surroundings in brilliant detail like never before. The Arlo Pro home security camera captures every moment and motion that takes place within the range of the 130-degree wide-angle lens. These cameras are capable of capturing even the slightest motion and triggers the alarm immediately. This is due to its special PIR motion sensor. Operating temperature: 32 degrees to 122 degrees Fahrenheit (0 degrees to 50 degrees Celsius). The Arlo Pro home security camera is a 100% Wire-free, which does not require any cords and the hassles that come with wiring. These cameras can be placed anywhere and are suitable for both indoor and outdoor use. The Arlo Pro home security camera is both weatherproof and waterproof. It is IP65 certified and is capable of braving both the rain and sunshine, heat and cold as well. With the Arlo Pro home security camera, you can enjoy live streaming and watch recordings of your surroundings with clear brilliant details like never before. The Arlo Pro home security camera can capture every moment and motion that takes place within the range of the 130-degree wide-angle lens. These cameras are capable of capturing even the slightest motion and triggering the alarm almost immediately. This is possible due to its special PIR motion sensor. You are guaranteed that no movement can escape the camera’s lens. Arlo Pro integrated night vision feature is capable of automatically switching itself on at night and capturing every aspect and movement of your surroundings to even the smallest details. All of your captured and recorded surroundings can be saved on the cloud storage for free for the next 7 days after purchase. You can keep track and access all of the motion and audio recordings on the cloud storage for free for seven days. The Arlo Pro smart home security camera comprises of the provision to connect a USB drive to the base station of this camera. Thus, with this facility, one need not have worries about optional local storage backups. The manufacturers of the Arlo Pro smart home security camera have designed it especially in order to stop crime even before it happens. This is made possible with its 100+ decibel siren which can be controlled remotely and it is immediately triggered by even the slightest detection of Motion and Audio sounds. Arlo Pro smart home security cameras are provided with flexible powering options that ensure a convenient and hassle-free home security. You can choose to use it wire-free or plugged in with the help of wires connected to special sockets. Very sensitive motion detection: This model has very sensitive motion detection technology. Weight: The Arlo Pro is lightweight when compared to other models in the market, which enables the user to easily carry it anywhere. Battery life: The battery life of the Arlo pro varies based on the settings, usage of the camera and the temperature of the surroundings. The simple installation process, hassle-free, and lesser technical complications. It is beautifully designed, functional and eye catchy. Perfect features and outstanding capturing performance. Battery needs to be changed frequently. Apps are so complicated and confusing. The Arlo Pro 2 is a smart home security camera that is specially designed to ensure complete safety and security. You can consider it as your very own personal security blanket. The setting up of this security camera is quite simple and hassle-free. The package comes with two cameras and a base station, which one can plug into a router which can be powered by an external source. All of your recordings of the surroundings can be backed up locally by plugging in an external hard drive. The Arlo Pro 2 smart home security camera displays a 1080p high that captures every single detail of your home in clarity. Some of these Advanced features include continuous video recording, activities zones, and 24 / 7 audio and video recordings. The following are the features of the Arlo Pro 2 that make it a camera that matters. The Arlo Pro 2 smart home security camera displays a 1080p high resolution captured display of one’s surroundings in complete detail and clarity. You can easily identify suspects and intruders that break into or trespass on your property. Arlo Pro 2 is Easily rechargeable as it comes with a built-in rechargeable battery which can be plugged into an outer power source. Once you plug it into an indoor power outlet, you can unlock all of the advanced features of the Arlo Pro 2 Smart Home Security camera. Arlo Pro 2 is protected against both rain and sunshine. It can watch over you in almost all kinds of weather conditions. It features IP65 certified technology is resistant to weather and it can capture your surroundings from almost anywhere and at all times of the day and night. The Arlo Pro 2 Smart Home security camera allows you to listen in and talk to someone else by making use of your camera as the medium and your smartphone as the connector. This camera is specially designed and equipped with the latest night vision technology that can automatically turn itself on in low light conditions, shedding light on your surroundings so that you can see everything clearly, while it is still pitch dark outside. This home security camera is compatible with all other security accessories and systems such as those like Amazon Alexa, Stringify, IFTTT, and smart things. Arlo Pro 2 is capable of emitting out a 100+ decibel Smart Security siren that is connected to a base station and is triggered even by the slightest movement or sound emitted. You can control it from anywhere and at any time. Complete mobile alerts and notifications of even the slightest motions and audio sounds produced. 110 degrees field of view. High-resolution recording enables you to see and capture moments in total clarity. The Arlo pro 2 is specially designed to provide the viewer with a 3-second look back. 24/7 audio and video recording capabilities. 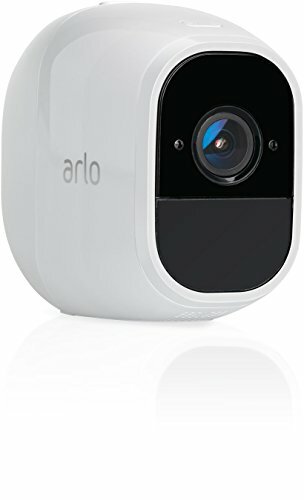 Arlo pro 2 smart home security cameras – 2 nos. Rechargeable batteries – 2 nos. Base station with a siren that is inbuilt – 1 no. An indoor power adapter – 1 no. An indoor power cable – 1 no. Ethernet cable – 1 no. Wall mounts – 4 nos. Screw sets for the wall mounts – 2 nos. Outdoor security mount – 1 no. Screw sets for the outdoor security mount – 1 no. Quick start guide – 1 no. Window decals – 2 nos. The Arlo Pro smart home security camera makes brilliant and clear recordings of one’s surroundings in 720p resolution. While the Arlo Pro 2 makes recordings with 1080p resolution. The Arlo Pro Smart home security camera makes its recordings for just 8 minutes when it detects motion. Whereas, the Arlo Pro 2 requires a monthly subscription and is capable of recording your surroundings continuously. When the Arlo Pro detects a motion in the surroundings, it begins recording the motion only after a few seconds have passed. Thus, the first few seconds of the motion are missed in the recordings taken by Arlo Pro. However, the Arlo Pro 2 captures the motions with a 3-second look back. The Arlo Pro has a long battery life of about 6 months. While the battery life of Arlo Pro 2 is much shorter and lasts for just 3 months. Both the Arlo Pro and Arlo Pro 2 smart home security cameras function with all the Arlo base systems. To set up these cameras, one does not need to upgrade the base unit. Both the Arlo Pro and Arlo Pro 2 are weather resistant and suitable for both indoor and outdoor mounting. With the Arlo Pro and Arlo Pro 2, one can easily sound a siren from the base station which is activated by the detection of motion or manual activation. They can also be set up to send you a notification and to trigger alarms in case of any kinds of motion events or sounds produced. Both Arlo Pro and Arlo Pro 2 feature high definition night vision technology along with USB backup at the base station. Both Arlo Pro and Arlo Pro 2 are easily compatible for use with all kinds and brands of Smart Home systems like Wink, Amazon Alexa, Smart things, Google home, IFTTT, etc. The Arlo Pro is capable of recording only on motion, while the Arlo Pro 2 can record both on the motion as well as in specific zones. Both the Arlo Pro and the Arlo Pro 2 smart home security cameras feature a speaker and a built-in microphone that facilitates a two-way communication. Both the Arlo Pro and Arlo Pro 2 comes with an outdoor mount and they can be scheduled to arm the cameras automatically. The dimensions of the external camera are identical in appearance and you can change the look of the camera with various colored outer skins. 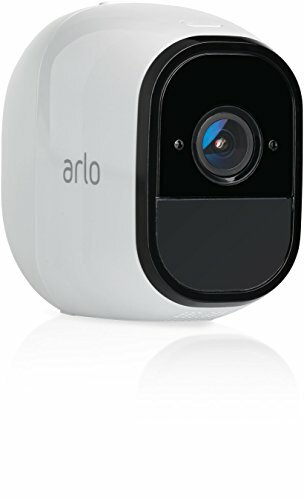 From the above-detailed comparison of the Arlo Pro and the Arlo Pro 2 smart home security camera models, we now know that the Arlo Pro 2 model is much more advanced in functionality, features, technology, and appearances as well. It has a longer battery life, high resolution, and capability of capturing one’s surroundings in detail and clarity. In addition, its night vision technology is much more advanced and it can capture one’s surroundings as far as the eye can see. 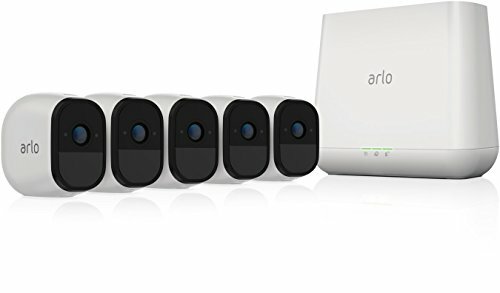 So, when one compares all these features, we all know that the Arlo Pro 2 is the best option to consider when it comes to giving your family the best security and ensuring their interests and safety even though you are far away from home. 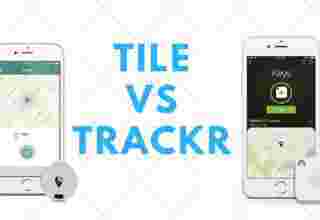 Tile vs Trackr – Which is the better tracker?